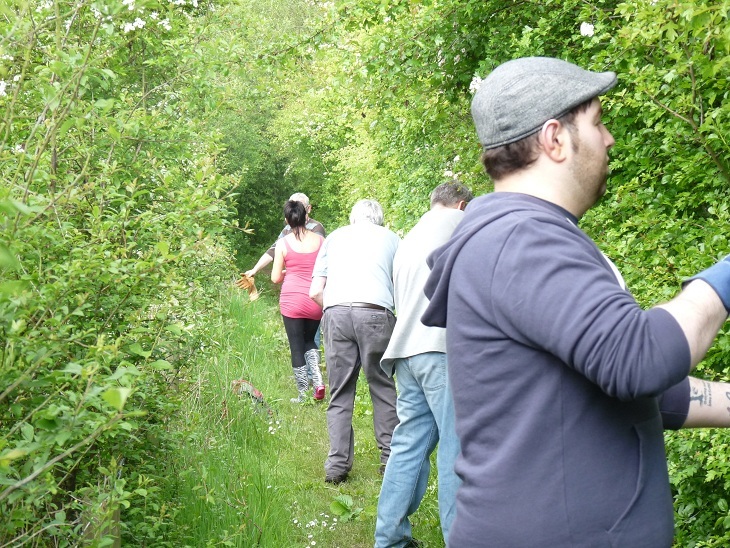 FoPP volunteers carry out a wide range of practical activites at Pickerings Pasture Local Nature Reserve. We look after the notice board, displaying information, painting it and maintaining its roof. 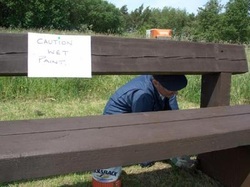 We paint all the benches on site and carry out some repair to them. We paint the fences and do fence repairs. 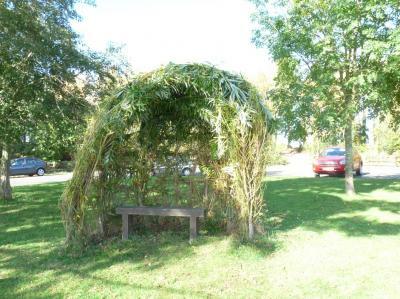 We look after the willow arch, cutting back and keeping it tidy. We cut bramble, prune shrubs, plant saplings and bulbs. 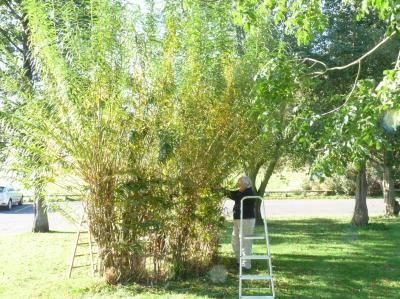 Overgrown willow arch being pruned by FoPP member. The FoPP liaise closely with Halton Borough Council to help keep Pickerings Pasture LNR an attractive, safe and interesting place for visitors to enjoy and experience. 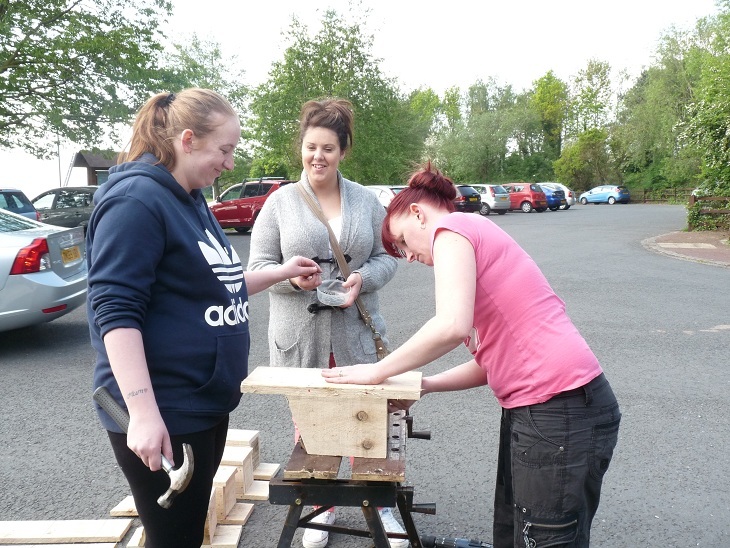 We are a hands on, practical group, with individuals contributing as much or as little as they can. We hold just six planning meetings a year and a monthly practical project morning, with extra work parties as required, and winter wildbird feeding, nest box building and so on. We report any problems on site, we keep an eye on the Visitors Centre and we try to have a group day out, walking and bird watching, once or twice a year. We also run this website. 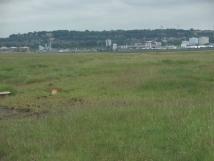 The hide and scrape is one area where the FoPP has been particularly active, for the last ten years. We clear the area, paint, repair and plant there. Our aim is to preserve the area in as good a condition as possible, for the many bird watchers and photographers who visit there and the general public to enjoy. We frequently do fence repairs, to keep trespassers and illegal hunting off the scrape and the marsh beyond. We remove rubbish, brought in by high tides and we cut back vegetation, to allow a clear view of the scrape and marsh, from the hide. We also have a bird feeding station in this area. 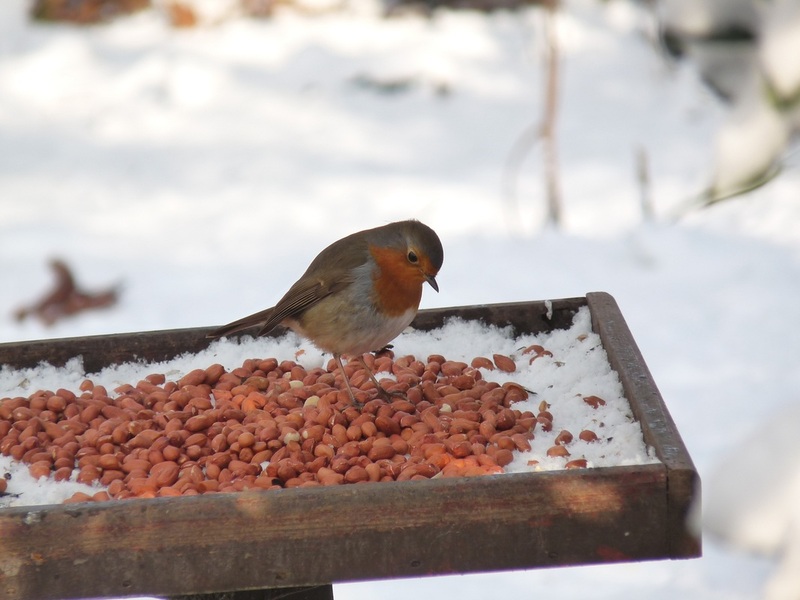 Robin feeding on table near the hide. On a number of occasions we have been joined by volunteers from other groups. The Home Retail Group is one. 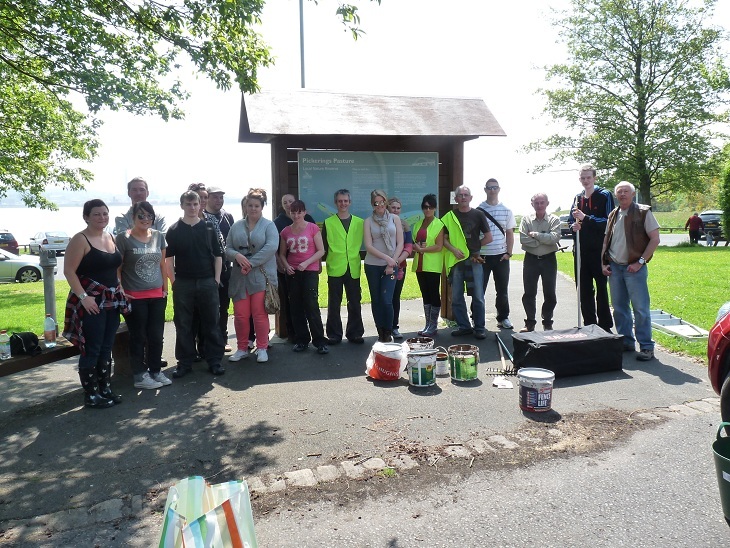 It has a volunteer scheme that allows its employees some time to do volunteer work. We've really appreciated their help when they have joined in with us.